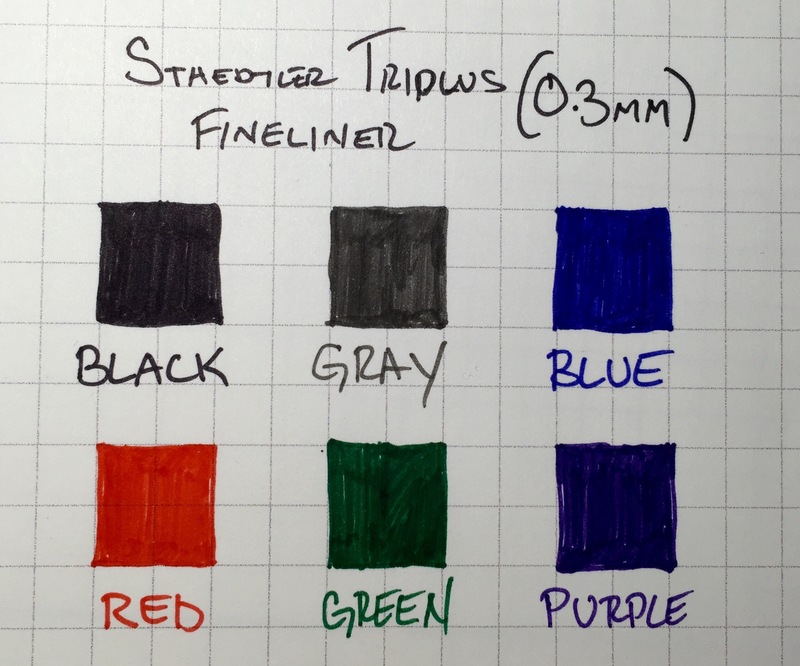 The Staedtler Triplus Fineliner is a porous point pen, similar to the Sharpie Pen or the Monami Plus Pen 3000, but the most interesting thing about the Triuplus Fineliner is its shape. Instead of a standard round barrel, the body is more of a rounded-off triangle. 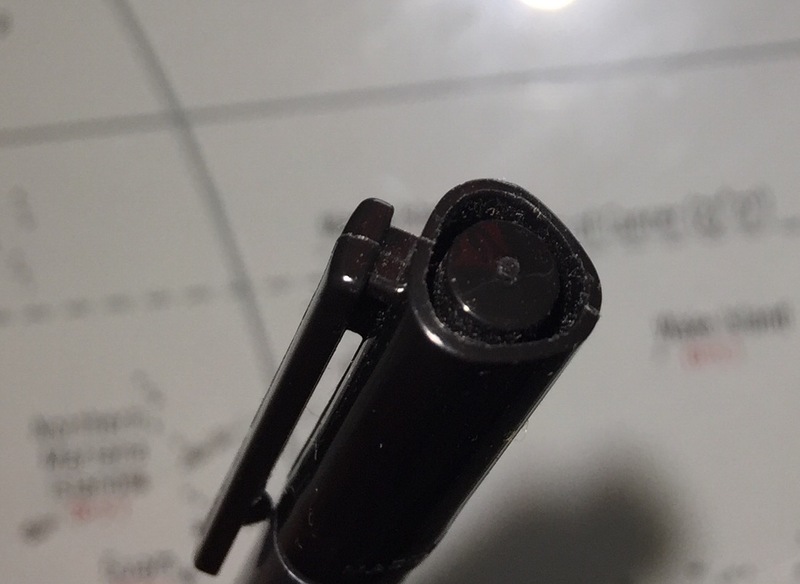 According to Staedtler’s website, this shape is meant for “relaxed and easy writing,” which I’m not so sure about, but it definitely prevents the pen from rolling off my desk. 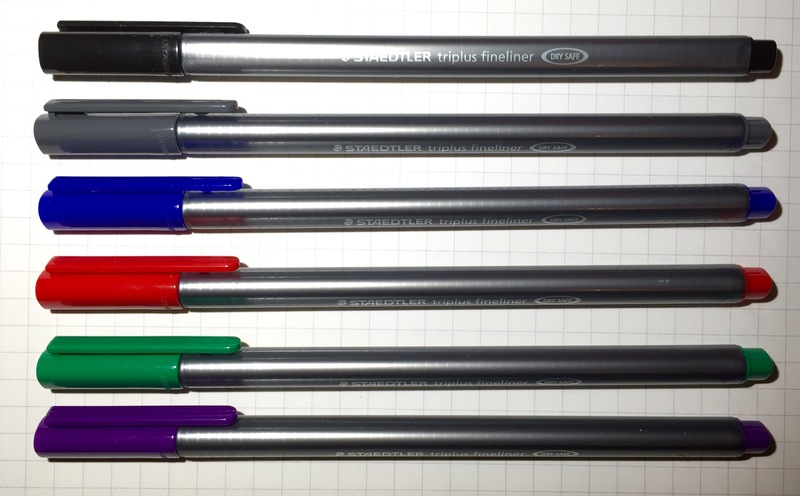 As with most porous-point pens, the Triplus Fineliner produces those consistent and clean lines that make all handwriting look a little neater. Compared to the Sharpie Pen, one of my top five pens, the ink appears a tiny bit darker and smears a tiny bit less, but those differences are trivial. The big difference comes down to the barrel: which one is more comfortable? I still prefer the slightly wider barrel of the Sharpie Pen, which I personally find a lot more comfortable to grip. However, I can see how the Triplus Fineliner might be a better fit for others. 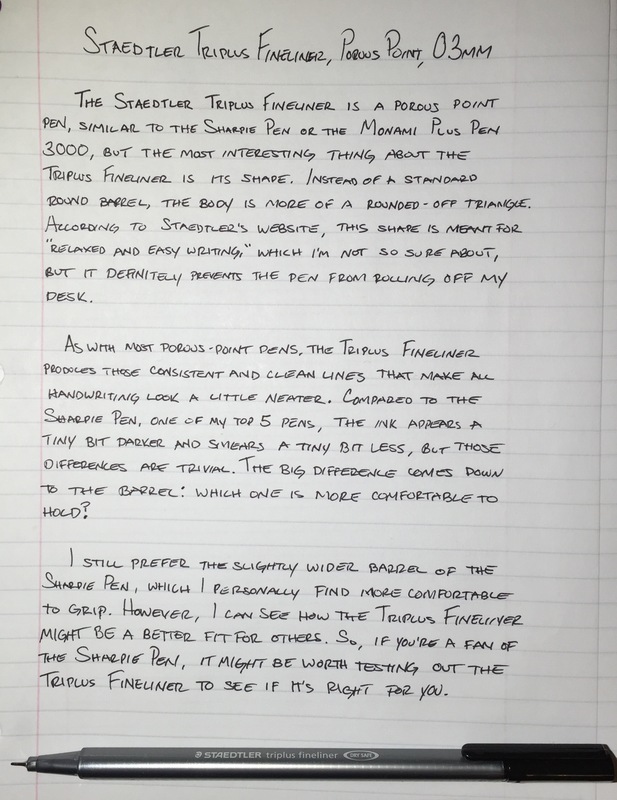 So if you’re a fan of the Sharpie Pen, it might be worth testing out the Triplus Fineliner to see if it’s right for you. 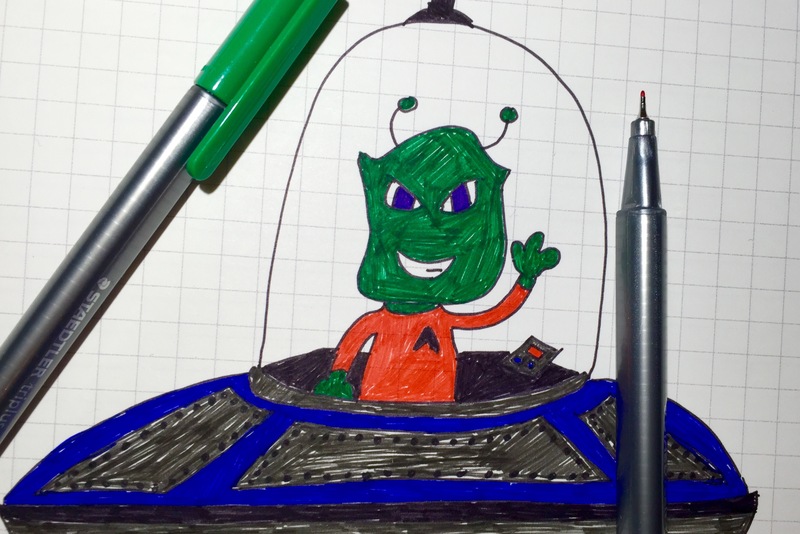 Steven Combs has a great comparison of Sharpie Pens and Staedtler Triplus Fineliners. He shows that the Triplus Fineliners bleed very slightly, but not enough to be problematic. He also doesn’t like the thin barrel of the Triplus Fineliners. Review at Pen Addict. Apparently, you can leave then pen uncapped for days without it drying out. Review at Journaling Arts. She didn’t like the barrel either, particularly the soft-angled edges.